I call this my “dark” blog but I also have a lighter blog! This one focuses on narcissism and narcissistic abuse education and stories, as well as my eBooks about what I’ve learned. But, you don’t want to get stuck in this part of recovery forever. I hurt for a very long time after being abused, dealing with narcissists and learning why they acted that way. They still hurt me from time to time, but I have made huge steps towards recovery and life is hopeful again. That’s what I focus on in my “post abuse” blog called Life As You Make It. The point is YOU make your life now. Once you are free from a narcissist, YOU take your life back and YOU do what YOU want to do with it. Once you get past the worst of the bad things, it’s a great feeling to know that you have this new freedom. On that blog, I post about empowering lessons I’ve learned, the steps I’m making in my life, positivity, reaching goals, getting healthier–emotionally and physically–and more. I also like to review self-help books. I’m a big reader and reading books about narcissist abuse and related topics was important for me to realize I wasn’t alone. Other types of books have helped me learn about building better boundaries, getting excited about life and yikes…learning to date again. 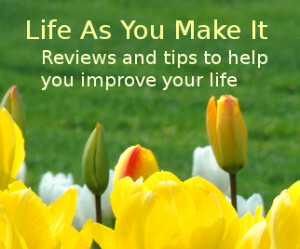 On my blog, I share and offer my review the books that have helped me.